Swatko produced these thermal monoprints using heat sensitive thermal copying paper, intended for use with a Thermofax photocopier, an early copy machine available in the 1970s. Swatko used the paper to produce photograms – applying the plants directly to the surface of the paper. 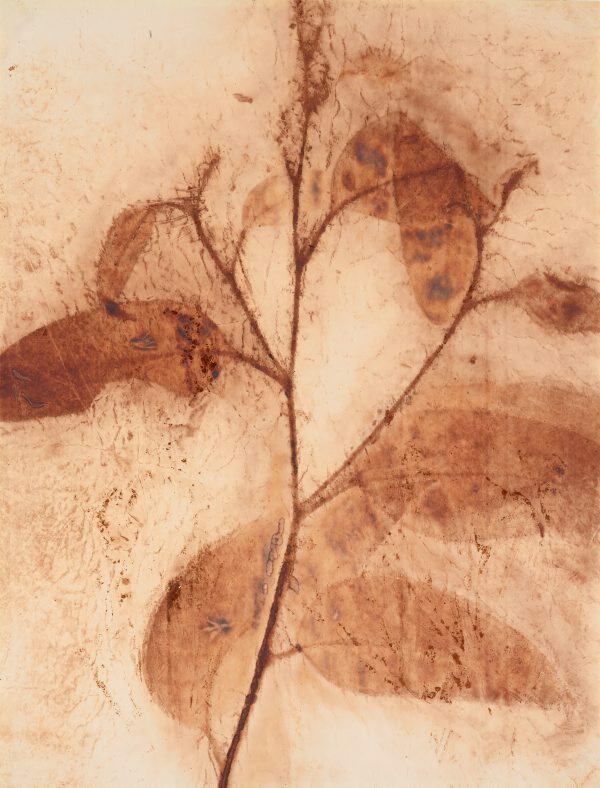 The heat and pressure exerted on the paper generated the image, inscribing the contours and veins of the leaves. Recording the trace impression of botanical subjects, these images resemble prehistoric fossils. Signed and dated original mount, pencil "...J. Swatko 1981".